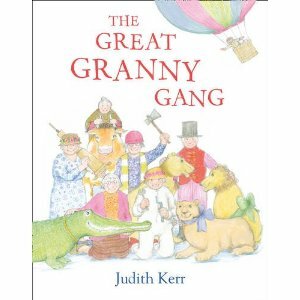 Having spent the last few years reading Judith Kerr’s wonderful picture books to my children, when I discovered that she had written an autobiography I immediately tried to get hold of a copy. Fortunately her publishers really kindly sent me one, the library having been stripped bare thanks to a sudden interest in her following a BBC documentary celebrating her 90th Birthday. I’m always intrigued to see where people get their ideas from for picture books and this book answers a lot of questions. Mog really is based on a real cat, I suspected as much. The character of Mog is written with so much humour that I often wonder when reading the books whether Judith really meant the stories for parents. The Tiger Who Came to Tea is one of our favourite books and it was wonderful to read all about the background to the story. In was lovely to read that Judith spent seven years at home with the children being a mother (much like me) and the story was inspired by a trip to the zoo with her daughter. The story was then told over and over again at home. I felt rather inspired by it. For those of you who didn’t realise Judith Kerr was a refugee from Nazi Germany and this book charts the early years of her life and the brilliance of her father. Later on in life she met and married Nigel (Tom) Kneale who was responsible for possibly one of my favourite all time TV/ Film series: Quatermass and the Pit. I really enjoyed reading about their life together and felt she was very honest. Some of what details, particularly about her feelings after having her first child I could really relate to. I was genuinely saddened to hear of Tom’s death. Yet, I was inspired by Judith’s lust for life and the real devotion to her work which means she is still producing the most wonderful books even at this stage of her life. One of the highlights of the book is the wealth of photographs of Judith, her husband and her family coupled with original illustrations and manuscripts for the picture books. It really was thrilling to see the original sketches for the kitchen in The Tiger Who Came to Tea. I thought it was wonderful that the publishers also included plates containing the entirety of some of the books discussed. 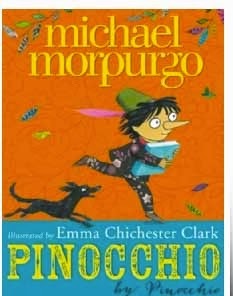 This saved me going through our children’s books to fish out particular ones and also allowed a sneak peak at some of the books which we don’t own. Such as the wonderful My Henry which I am going to indulge myself and buy. 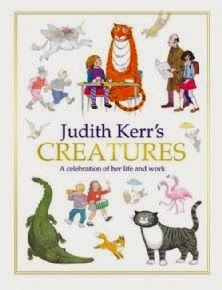 Judith Kerr’s Creatures is a wonderful book and a real joy to read. It serves as a record of an amazing inspirational life. I would suggest that if you are puzzling over a gift for a parent this Christmas this would be a great idea. You can find out all the information about the book here.